Chaika, Toru & their companions are still searching for the remains of Emperor Gaz. But now Chaika is beginning to question her own identity as well as her mission. 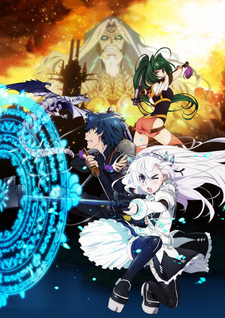 Spurned on by the mysterious acquaintance only known as Guy, Chaika leaves Toru & heads to a hidden island to recover the ‘Emperor’s Fortune’ & learn the secrets of her past. Toru, unable to abandon his duty as a saboteur & realising his growing affection for the mysterious girl, sets off the save Chaika from whatever dangers she may face -even if that danger is the truth of her own being.